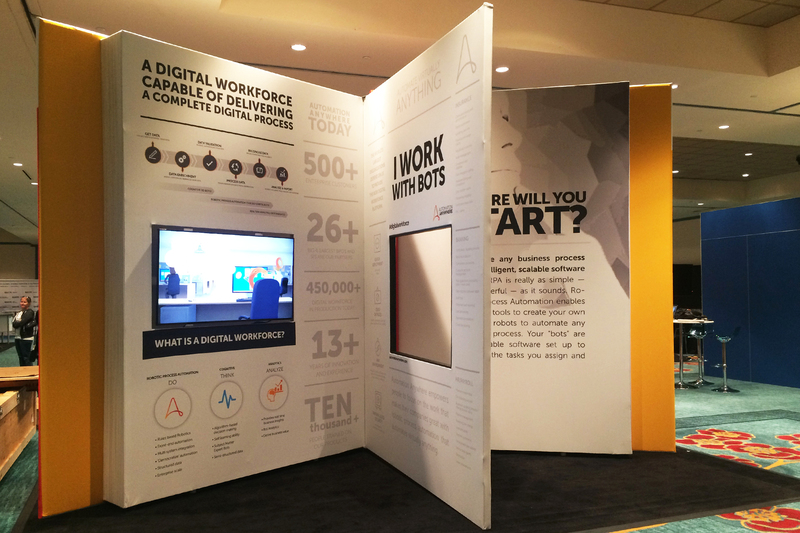 This exhibit was designed for Automation Anywhere, a company that revolutionizes the way we use bots in the workspace. 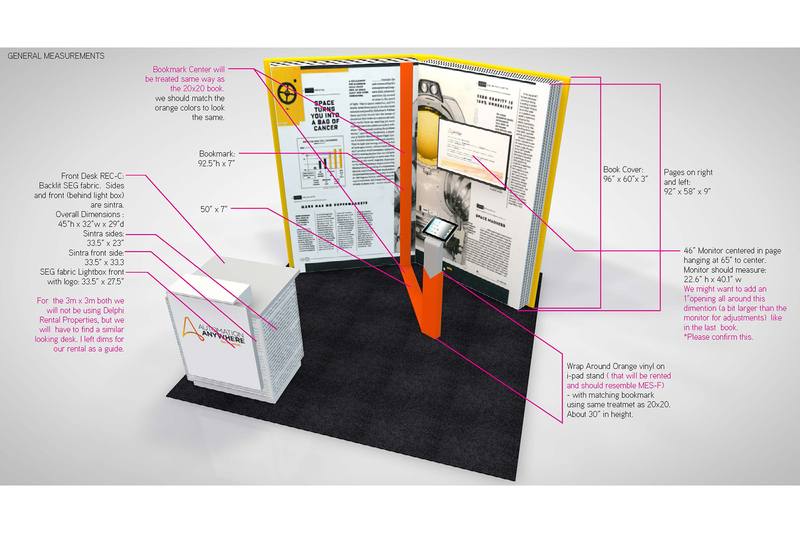 They needed a new design for SSOW 2017 (Shared Services and Outstanding Week) that could travel around different countries and be reusable for many shows. 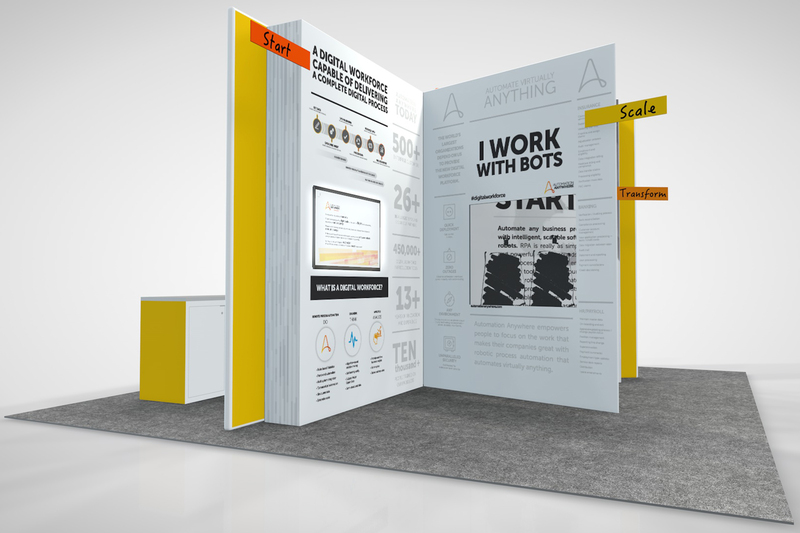 The design of this booth also needed to convey the client’s theme “How will your story appear on the pages of history” and create social engagement. 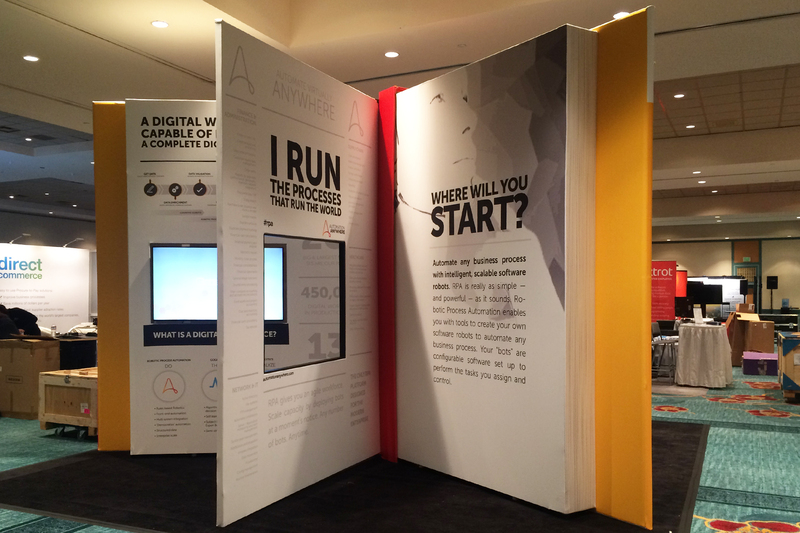 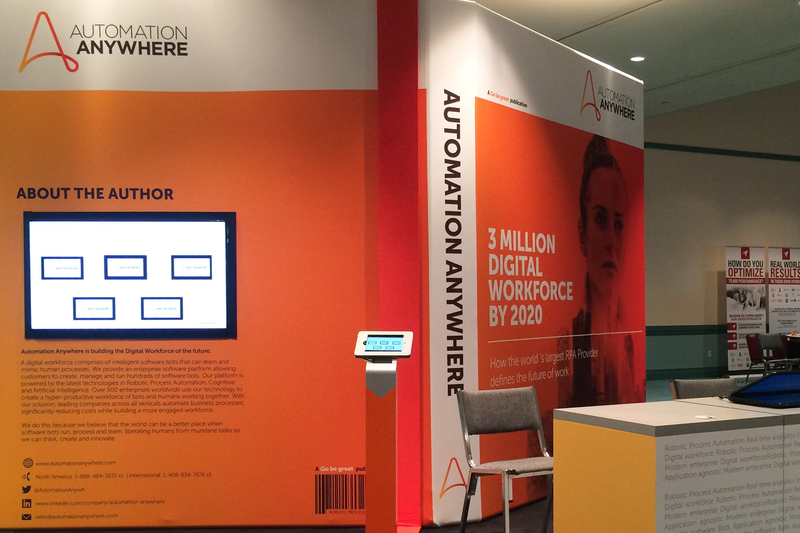 Automation Anywhere needed two booths, one that would be a 20’ x 20’ “Big Book” and a 10’ x 10’ “Little Book”. 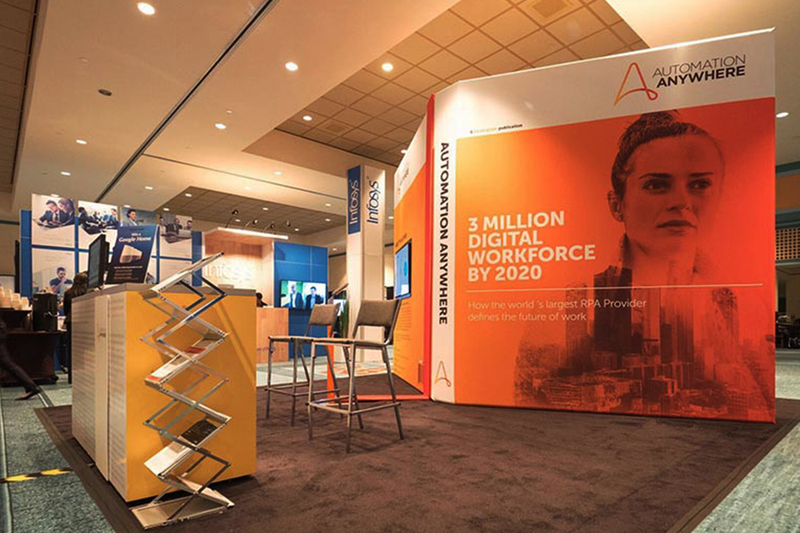 Both designs were designed to be lightweight, allow visitors to get demonstrations on the technology and also listen to client success stories. 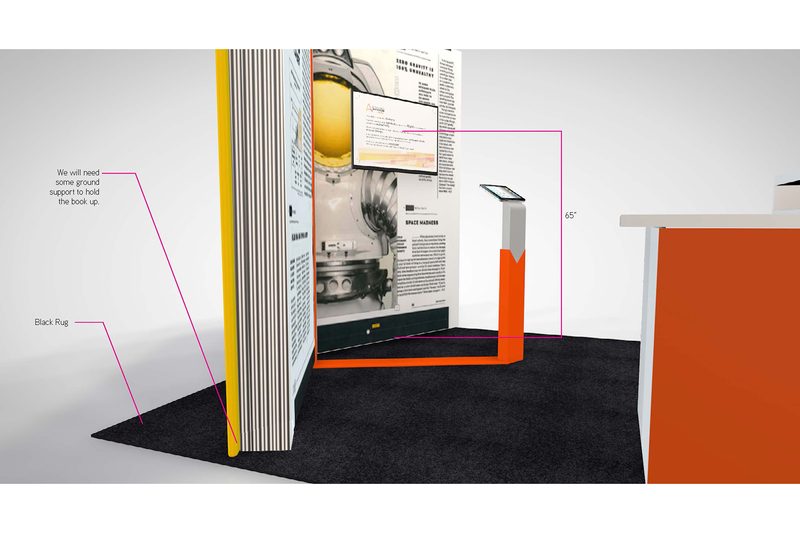 Attendees from all over the world lined up to take photos with the the book and this space generated 860% increase in the companie’s Twitter engagement due to its engaging, playful design.